16. Ahavat Israel is a new organization established in early 2011 with the support of Rabbi Shmuel Kaminezki. Its mission is to bring Jewish life to Jewish deaf and non-speaking individuals in Dnipropetrovsk. Although many Jewish deaf have emigrated, at least 20 remain in the city and currently participate in the group; all Jewish deaf were acquainted with each other prior to the formation of the organization because all attended one or the other of the two public schools in the city that serve deaf pupils. All use sign language that was taught in these schools. Rimma Margolina, a well-known local woman who manages the mikva and also is involved in Chabad education programs, was asked by Rabbi Kaminezki to coordinate the new group. She serves on a volunteer basis. The organization has a small budget, the largest segment of which is provided by Rabbi Kaminezki. In the first three months of its existence, the group held five meetings, some of which related to Jewish holidays. Ahavat Israel has produced informational brochures for members about Jewish cus-toms, Jewish holidays, and other Jewish matters. They have already secured a commitment for four deaf Jewish young adults to join a Hillel Taglit (birthright Israel) group in the summer of 2011; the group will be accompanied by Chana Yehudit Shirova, a sign language interpreter (whose mother is deaf). Ahavat Israel activists include (left to right; Esther Mizina, an assistant; Rimma Margolina, volunteer director; Alla Brovenko, participant; and Chana Yehudit Shirova, sign lan-guage interpreter. Ms. Brovenko and Ms. Shirova are mother and daugh-ter. Photo: the writer. According to participants, almost all deaf and non-speaking adults work out-side their homes, most women having been trained in city schools to be seamstresses and most men are qualified for various factory positions. The young people among them would like to use Ahavat Israel as a lobbying organization to advocate for local para-Olympic competition in football (soccer), basketball, swimming, chess, and other sports for deaf people. Ahavat Israel activists acknowledged that the Joint Distribution Committee once sponsored a group for hearing-impaired Jews in the city, but said that it was closed some years ago. It is very important, they observed, that hearing-impaired Jews have their own organization for purposes of socializing and mutual support. 17. The Beit Baruch Assisted Living Facility for elderly Jews opened in 2002, the first of only two dedicated housing facilities for Jewish seniors in all of the post-Soviet states. Beit Baruch provides accommodations, meals, medical care, and various social activities to its residents. Some reside in single rooms, others in doubles with a roommate. Each room has its own private bathroom. 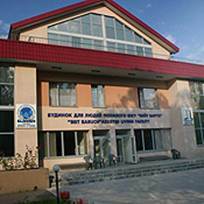 The facility is located in a relatively quiet outlying district of Dnipropetrovsk on the site of a former preschool. The original building was completely razed and then replaced by a clean modern structure. Although the official capacity of Beit Baruch is 94, geriatric specialists from Boston recommend that the total number of residents not exceed 75 to 80. The census at the time of the writer’s visit was only 55, all of whom were between the ages of 78 and 97. Two newcomers were expected to join the group within the next few weeks, said Alexandra Kizhner, manager of the facility. Beit Baruch also accommodates individuals on therapeutic stays of two to two and one-half months as they recover from hip replacement surgery; 51 such patients had been in Beit Baruch during the last 12 months, said Ms. Kizhner. The current relatively low number of long-term residents reflects both economic pressure deriving from the need for extensive subsidy of the home and from the increasing number of patients with dementia, each of whom requires an individual room without a roommate. 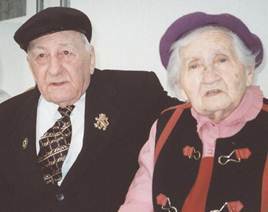 Alexander Gurevich and Ida Tsypkina are two well- known residents of Beit Baruch. Mr. Gurevich, a native of Kharkiv, ran away from a Nazi killing site in that city as a child during the Holocaust. He is president of the Beit Baruch residents’ council and always wears a Lion of Judah pin that was given to him by an American visitor. Ms. Tsypkina was a well-known singer of general Jewish and Yiddish songs. She continues to perform with the Beit Baruch choir. In addition to receiving an operating subsidy from the Boston Jewish federation, Beit Baruch has been the beneficiary of consulting services from geriatric care specialists in Boston. Beit Baruch offers conditioning classes, physical therapy, arts and crafts, and other programs to its residents. Ms. Kizhner stated that 43 of the current residents are suffering from dementia, 28 have had strokes, and 16 have had heart attacks. Twenty-four have cancer. Eighteen have diabetes, five of whom require insulin. (Some residents s uffer from more than one of these conditions.) Many are bed-ridden. Eleven residents died in 2010, the eldest of whom was 99; the most common cause of death was cancer. Additionally, continued Ms. Kizhner, 15 people left the facility in 2010 to join relatives in other countries, most in Israel or Germany. 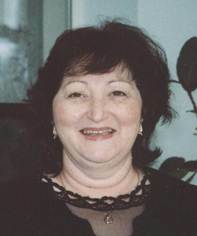 Alexandra Kizhner, the manager of Beit Baruch, is respected by Beit Baruch residents and other members of the Dnipro-petrovsk Jewish community as well. She had emigrated to Israel and worked in a senior housing facility there before returning to Dnipropetrovsk. 18. Adopt-A-Bubbe/Adopt-A-Zayde is an independent assistance program created by Dr. Judith Patkin, the Executive Director of Action for Post-Soviet Jewry in Waltham, MA. 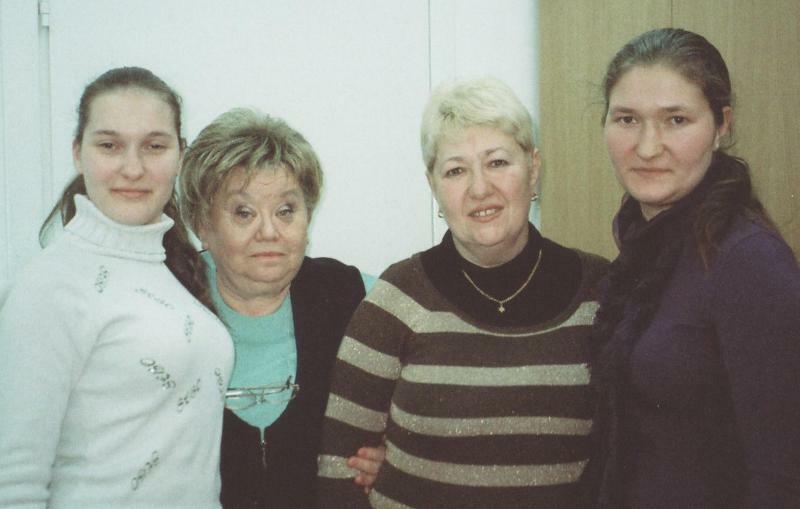 The Dnipropetrovsk organization supports elderly Jews in Dnipropetrovsk itself and in 15 additional cities or large towns and numerous smaller towns in eastern, central, and southern Ukraine. However, the total number of towns served has declined as Jewish populations in these villages have diminished to the point where service calls are economically prohibitive. At any given time, said Yan Sidelkovsky, who, along with his wife Tanya Sidelkovsky, directs AAB operations in the Dnipropetrovsk region, approximately 1,000 Jewish seniors are in their service census. Elderly people who die are replaced by younger pensioners; the younger pensioners may have greater needs because they do not receive the government pension bonuses given to veterans of World War II. The program also supports some working-age Jews who are chronically ill or handicapped, as well as some Jewish families with young children in which the parents are unemployed. The Sidelkovskys are assisted by local coordinators in most of the larger Jewish population centers in which AAB is active; the coordinators receive modest stipends for their work, but these stipends are less than full salaries. In some cities, volunteer physicians also are enlisted in AAB efforts. The program attempts to address individual needs, providing food, clothing, and medicine according to the requirements of each client. It works with local physicians and with physicians and pharmaceutical outlets in the United States to fill prescriptions. Adopt-a-Bubbe also provides medicines to Beit Baruch in Dnipropetrovsk, and medicines and medical supplies (such as syringes, catheters, and surgical instruments) to several hospitals, both as general assistance and as a “guarantee” of admission and competent treatment for AAB clients requiring hospitalization. Mr. Sidelkovsky stated that the need for AAB services has grown as inflation continues to erode purchasing power and the Joint Distribution Committee continues to reduce assistance to Jewish elderly and other Jews in need. The cost of gasoline and other fuels has increased 30 to 35 percent during the last year., said Mr. Sidelkovsky, affecting prices paid for public transportation, electricity, and heating. Prices are raised incrementally several times over the course of a year, an approach that Mr. Sidelkovsky termed “soft” escalation. Buckwheat (гречика), a staple of the Ukrainian diet, has disappeared from stores, along with wheat, sugar, and milk, said Mr. Si-delkovsky. Some of these products are local, he continued, and a record amount of wheat was harvested in Ukraine last season. He attributed the food shortages to monopoly control of markets, a situation endorsed by the government as it placates wealthy profiteers and generates higher tax rev-enues from increased prices. The nutrition content of sausages has been re-duced, he noted, as the government has approved the usage of artificial ad-ditives or extenders as replacement for real meat. Prices of fruits and vegetables have soared in recent months. The second such facility is located in Kyiv. See pages 109, 113-114. The program also operates in several other cities. However, this report deals only with the actions that are directed from its Dnipropetrovsk office. In addition to assisting Jews, Adopt-A-Bubbe also reaches out to elderly Righteous Gentiles, i.e., those from families who helped Jews during the Holocaust. Yan Sidelkovsky also represents the Boston Jewish community in Dnipropetrovsk. See pages 48-49. Tanya Sidelkovsky was visiting one of the smaller AAB communities, along with Dr. Patkin, who was in Dnipropetrovsk at the time that the writer spoke with Mr. Sidelkovsky.